at the elaborate end of time. 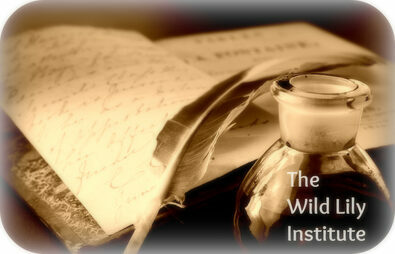 The Wild Lily Institute was founded in 2005 as The Emily Isaacson Institute and re-named in 2016. We are located in the Fraser Valley of British Columbia, Canada. Wild Lily is dedicated to the tradition and ways of the natural earth with a holistic vision, directed by founder Emily Isaacson. The Institute preserves Isaacson's work so that it will most benefit the literary community. The word “Wild Lily” refers to any earth-bound lily, whether grown indoors or out, in contrast to the “gilded lily” a symbol of royalty. 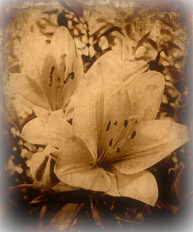 The term "Wild Lily” also refers, in communist countries, to a person who speaks out on behalf of democracy and could be imprisoned for their outspoken perspective. The furthering of youth through the arts involves creativity. The Institute emphasizes first art and literature; second, advocacy; third, research and development. We participate in, as well as offer nutrition education for community development. We believe that everyone should have access to a clinical nutritionist, regardless of education level, income, or social status. Restorative justice is a mentality, a set of principles and values in responding to offenders within the justice system. It offers an alternative to incarceration, particularly for young offenders or first-time offenders who would be better served by restorative justice. Isaacson has trained in restorative justice in both Mission and Abbotsford, and teaches others on the road of reparation using circle keeping. Emily Isaacson is the author of a children's book called Little Bird's Song, as well as eleven poetry books. The collections of the select poetry of Emily Isaacson can be purchased on this site. To learn more about Emily's postmodern poetry that shaped the Wild Lily Institute, visit the Clay Road Literature Portal. Emily Isaacson served as a professional photographer of British Columbia (PPABC) from 2010-2012. She exhibited in 2010 at the Mission Arts Centre. There she spent three years on the board of directors of the Mission Arts Council. Visit the Clay Road Gallery where she presents her classic landscapes of the Fraser Valley or the Clay Road Tapestry, created in 2006, featuring multimedia art.